I joined the Callies in March 1998 have played in five various international Tattoos. This is not my car yet, just another gig I played at. 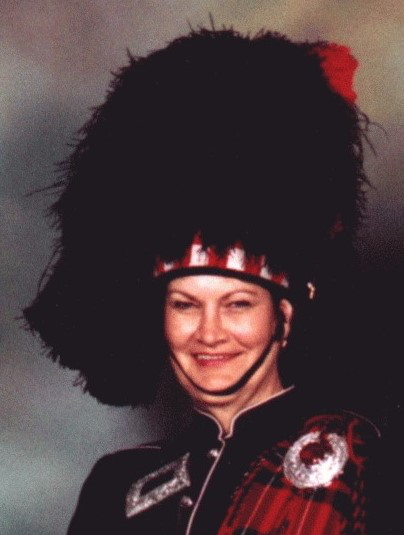 Joined the Band in 1997 as a learner Piper. Played with the City of Elizabeth Pipe Band from 2001 till 2005, rejoined the Pipes & Drums of The Royal Caledonian Society in 2005. Jeannette Macdonald. Started playing Bass Drum at the age of 13 when the South Australian Ladies Highland Pipe Band was formed in the early sixties. Several years later I left the band to start a family and was away from bands for nearly 30 years. In 1990 the SALHPB held a reunion for past players and one of the pipers invited me to come and watch a practice of Ballantyne Scotch. That was it, I was back playing, this time as a tenor drummer. 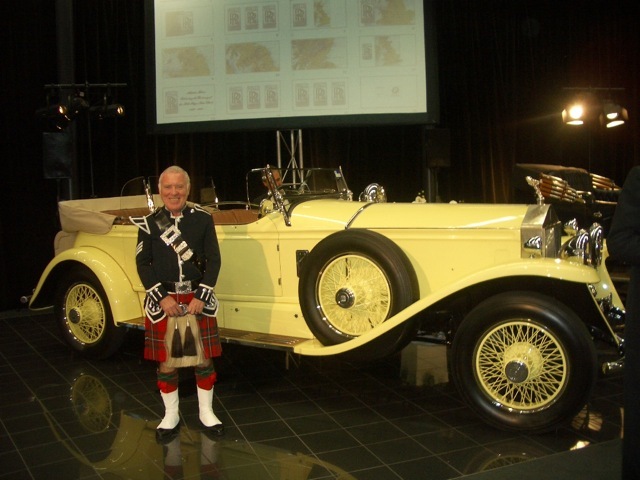 In 1993 Ballantyne Scotch disbanded and several of our players, including myself, were invited to join the Pipes and Drums of the Royal Caledonian Society and I have been with the Callies ever since. In 2002 I took on the position of Band Manager and continued until 2007 then again from 2009 and still doing the role today. 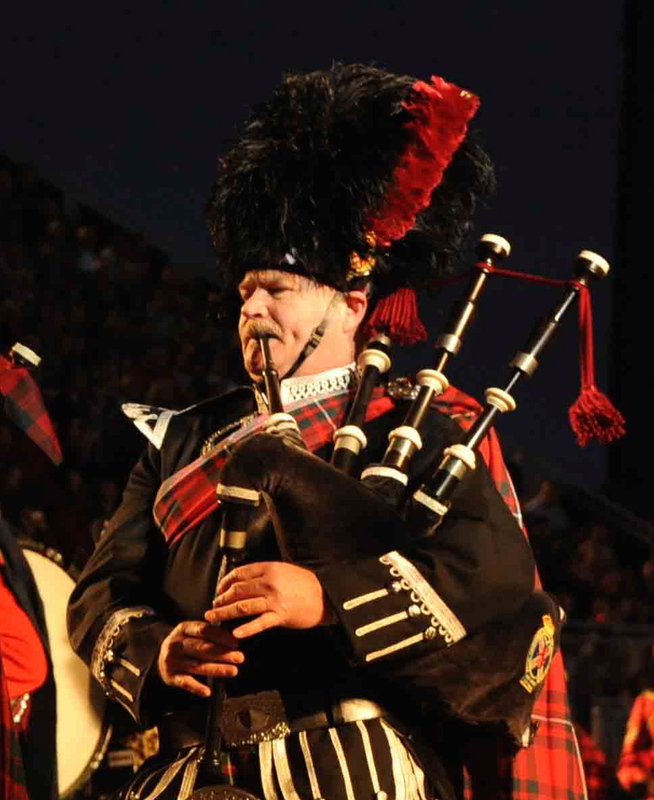 The band has had many highlights since I joined including playing for the first Grand Prix in Adelaide, The Andre Rieu concert, four Edinburgh Military Tattoos in Scotland, three Australian Edinburgh Military Tattoos in Sydney and Melbourne, the Basel Tattoo in Switzerland. In May 2016 we have the privilege of being the only pipe band from Australia to perform in the 90th Birthday Celebrations for Her Majesty’s Queen Elizabeth II at Windsor Castle. 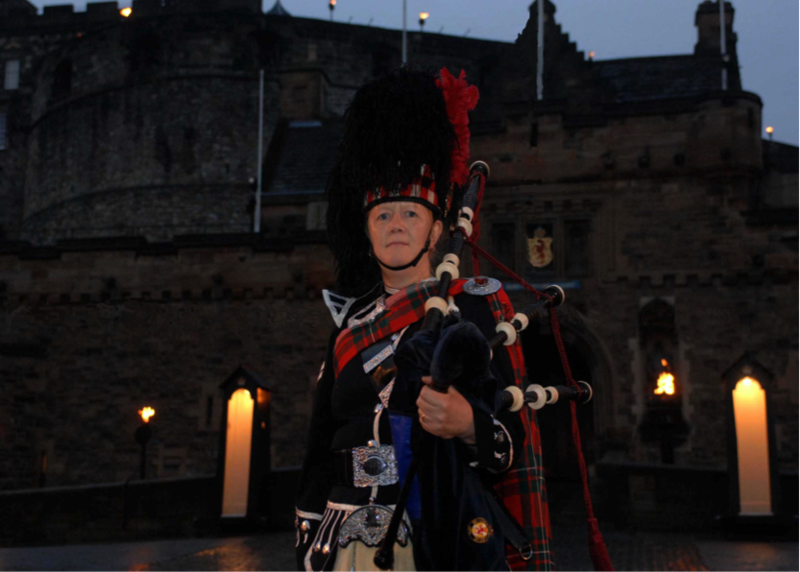 We are fortunate enough to be playing at Edinburgh Military Tattoo in Melbourne in 2016 and will return to perform at The Edinburgh Military Tattoo in Edinburgh in 2017. 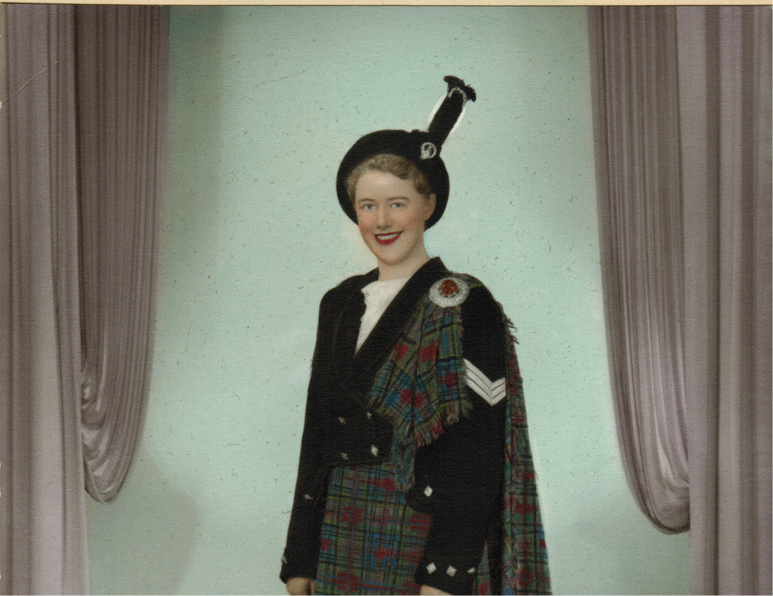 My interest in piping began with my mother (below) Eileen Dunstan nee Durrand who was a founding member of the Heather Girls Pipe Band. This band was formed on the idea of the Wick Girls Pipe Band, Scottish Champions in 1958 and 1962, and birthplace of my grandfather. I began playing with Noarlunga Pipeband (now City of Onkaparinga) in the late 1980’s and 10 years later joined the Callies and have experienced great enjoyment in participating in all the international and national Tattoos that the band has been invited to. Anybody remember Simon Charles Thomas Glass (known as “Boysie” who was sponsored to come to Australia by the band – he was a kettle-drummer and died in 1987. I would love to hear from anyone, especially with a photo of Boysie. I didn’t know “Boysie” myself but I will ask the rest of the band tomorrow night and get back to you.